It might be considered blasphemous, if not ludicrous, to Florida football fans, but Jeff Driskel is drawing comparisons to the gold standard of Gators quarterbacks. During his second college start at quarterback, the hard-charging, linebacker-sized sophomore reminded more than a few people of none other than Tim Tebow. In story by Orlando Sentinel Joe Morgan, Driskel said heâs heard such comparisons dating to his days as a dual-threat quarterback at Hagerty High School in Oviedo. Gators coach Urban Meyer envisioned Driskel, the No. 1 quarterback recruit in the nation, as a player who could orchestrate Floridaâs spread offense, which helped Tebow win two national championships, a Heisman Trophy and the undying adoration of fans until the end of time. Driskel walked into a much tougher situation than Tebow, but given his chance the past couple of games has shown the mentality and moxie, as well as the physical tools, to give Gators fans hope for the future. It might not be a future quite like the recent past, but itâs a step in the right direction. Last week at Tennessee, Driskel had 219 passing yards for two touchdowns and chipped in 81 rushing yards as the Gators piled up 555 yards of total offense in a 37-20. Tebowâs first SEC start came against the Vols in 2007. He led Florida to a 554-yard offensive outburt, throwing and rushing for two touchdowns each in a 59-20 win in Gainesville. Driskel (6-foot-3, 237 pounds) has the size, the grit and some of the physical gifts of Tebow. And, Driskel appears to be a better pure passer. Still, one game and one yardâs difference do not validate a comparison between Driskel and arguably the greatest Gator. But at the very least, Florida fans have to be pleased to finally see the first quarterback since Tebow that might have some staying power. GAINESVILLE â" Tim Tebow has played in Denver and New York since his college career ended, but he never truly left Gainesville. John Brantley, Trey Burton, Jordan Reed, Jacoby Brissett and Jeff Driskel have dealt with expectations set by Tebow during the seasons since the 2007 Heisman Trophy winner's departure. In 2010 and 2011, Florida was 15-11 with a 1-8 mark against ranked opponents. However, since winning the starting job after a drawn-out position battle with Brissett thanks to his scrambling ability, Driskel has inspired a new wave of hope with his performance at quarterback this season. Using both his arm and his feet to make plays, Driskel has averaged nearly 8 yards per touch during Florida's 3-0 start in 2012. His performance in 2012 has drawn comparisons with Tebow. It's nothing new for Driskel. He has heard the comparisons since his days leading the Hagerty High offense. He was the No. 1 quarterback recruit in the Class of 2011. Driskel has long attempted to play down the similarities with Tebow. "I've definitely heard those comparisons," Driskel said. "Even back in high school. Just because of our body size and the way we can run the ball. It's nice to be compared but I wouldn't go that far and say I try to be like him or watch his film and try to be like him, but I guess we do play similar styles." Much like Tebow, who first endeared himself to UF fans during a win at Tennessee, Driskel had his coming-out party in Knoxville, Tenn.
Tebow ran for a crucial fourth-and-1 conversion on the Gators' game-winning touchdown drive during a 21-20 victory against the Volunteers during the 2006 season. Driskel amassed 300 all-purpose yards and two touchdowns in Florida's 37-20 win against Tennessee on Saturday at Neyland Stadium. Driskel completed 14 of 20 passes for 219 yards and two touchdowns. On the ground, he ran for 81 yards on eight carries. For his efforts against the Volunteers, Driskel was named the Southeastern Conference offensive player of the week. "It's a great honor," Driskel said. "All kinds of great players out there putting all kinds of crazy numbers up." Driskel's numbers would have been even more impressive he had not stepped out of bounds eight yards into what looked like a 36-yard touchdown run against Tennessee. The 28 yards subtracted from the run would have given him 109 rushing yards against the Volunteers. The last Gators quarterback to rush for 100-plus yards in a single game was Tebow, who accomplished the feat five times during his career. Florida receiver Frankie Hammond Jr., who has played with both Tebow and Driskel, said the two differ mechanically when it comes to passing, but share a bond in the run game. "[They are] similar when it comes to running, that's definitely the main similarity you can see in the two," Hammond said. "Both of them can run." Linebacker Jon Bostic likes the threat Driskel's feet pose to opponents. Bostic said it has been difficult for Florida's defense to get a handle on Driskel in practice due to his scrambling ability. "That's one thing we said about him, we hated two-minute [drills] because we turn our backs, and he takes off running," Bostic said. "Then, we've got to turn around and run and try to catch him." Whether Driskel can match Tebow's success individually or in terms of team success has yet to be determined, but Muschamp has confidence in the Oviedo native's ability to lead the offense. As he gains more experience, Driskel will continue to improve. "Well, I've always felt like from a potential standpoint that he had everything that he needed to be successful," Muschamp said. "There's no question about that. It's a maturing process as a player, especially at that position." PITTSBURGH -- The Jets must think they're still in training camp in Cortland, N.Y., trying to hide the Wildcat, because they're doing a pretty good job of keeping it under wraps. For the second straight week, Tim Tebow was a nonfactor on offense. In Sunday's 27-10 loss to the Steelers, the Jets' backup quarterback lined up in shotgun for only three plays, not entering the game until the 8:39 mark of the third quarter. 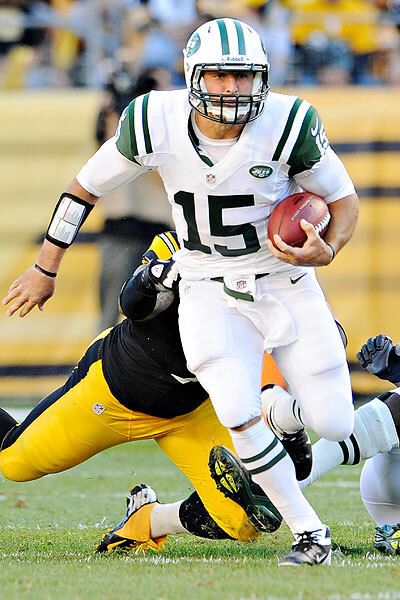 Joe Sargent/Getty Images Tim Tebow's only rush went for 22 yards -- the Jets' longest run. Tebow ran for 22 yards on his first play -- a zone-read option -- and he handed off the next two plays, a 12-yard run by Joe McKnight and a 6-yard loss by Shonn Greene. 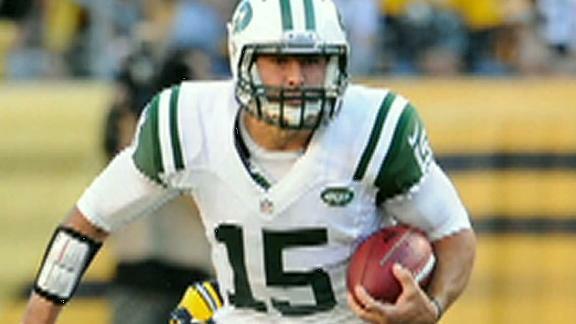 On second-and-16 from the Steelers' 45, Jets O-coordinator Tony Sparano decided it was enough Tebow. Mark Sanchez returned. "No, it's not frustrating," Tebow insisted. "Every year is a new opportunity and new challenges, and you just have to try to do the best you can." Asked if he expected to be more involved in the game plan, Tebow said, "It's hard for me to say what the game plan was. I just go in when they tell me and try to do the best I can. It all depends on how the game is going." After a touchdown and field goal on the first two possessions, the Sanchez-led offense fizzled. The Jets (1-1) could've used a spark from Tebow, who has a history against the Steelers: As Denver's starting QB, he torched Pittsburgh for 316 passing yards in a wild-card win last postseason. Coach Rex Ryan didn't give a direct answer on why he didn't use Tebow more often. Later, when pressed, he said Shonn Greene's head injury was a factor. Greene missed most of the second quarter after getting drilled in the head by S Ryan Mundy. Greene is part of the Tebow package, according to Ryan, who said Greene's absence "limited us a little bit in that package." After two games, Tebow has lined up in shotgun only 11 times out of 114 total plays -- about 10 percent of the offense. Before the season, GM Mike Tannenbaum estimated that Tebow would be on the field for 10 to 20 percent of the snaps. Tebow has yet to throw a pass, and he has six carries for 33 yards. For his part, Sanchez wanted no part of any questions regarding Tebow's role -- or lack thereof. "You have to ask coach Sparano," he said. FLORHAM PARK, N.J. -- Six months after the trade that brought him Tim Tebow and countless questions about the Wildcat, New York Jets coach Rex Ryan displayed his first signs of Tebow fatigue Monday when grilled about the quarterback's lack of involvement in Sunday's 27-10 loss to the Pittsburgh Steelers. "We always said from Day 1, we can do it 20 times, 40 times, 10 times, two times, whatever," Ryan said of the Wildcat, taking a bit of a defensive tone. "We determine that, OK?" 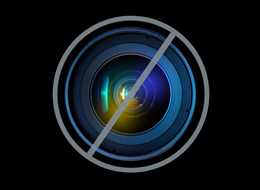 Tebow didn't take an offensive snap until the 8:39 mark of the third quarter. He immediately broke out for a 22-yard run but was pulled after three plays as the Jets faced a second-and-16. A struggling Mark Sanchez was sent back into the game and promptly threw two straight incompletions. Right now, we think Mark gives us the best chance to be successful in that particular situation against that particular opponent. Those are things we'll always look at. Ryan always has been supportive of Tebow's passing ability, despite the player's obvious shortcomings, but there seemed to be a lack of trust in the second-and-16 situation, with the Jets trailing by 10 points. Ryan insisted that wasn't the case. "Right now, we think Mark gives us the best chance to be successful in that particular situation against that particular opponent," Ryan said. "Those are things we'll always look at, but I believe Tim can pass. We'll make the decision on when a guy's out there and when he's not out there." Ryan said they were planning to run "some" Wildcat plays against the Steelers, who allowed 316 passing yards to Tebow in last season's wild-card loss to the Denver Broncos, but he suggested the circumstances of the game didn't warrant it. Early on, Ryan didn't want to disrupt Sanchez's rhythm. He orchestrated an eight-play, 90-yard touchdown drive, the Jets' longest game-opening drive since 1997. But they also got off to a hot start in Week 1, and that didn't prevent them from using Tebow at the outset of an eventual 48-28 rout of the Buffalo Bills. On Sunday, Sanchez cooled off quickly, but Tebow remained on the sideline throughout the first half. In the second series of the third quarter, Tebow provided a lift, racing 22 yards on a read-option run. Tebow bounced to his feet, fired up, and "it was great to see," Ryan said. On the next play, Tebow handed off to Joe McKnight for a 12-yard gain to the Steelers' 39-yard line. The Jets finally had some semblance of momentum, but Shonn Greene was dropped for a 6-yard loss on the next play, and that was the end of Tebow. "No, it's not frustrating," Tebow said after the game, adding, "I just go in when they tell me and try to do the best I can. It all depends on how the game is going." The Jets (1-1) still faced a 10-point deficit at the start of the fourth quarter, and Ryan felt Sanchez was their best bet in that situation. So he kept Tebow -- who had five fourth-quarter comeback wins last season for the Broncos -- on the bench. "Does that mean, given the exact scenario against a different opponent, we may or may not use (the Wildcat)? That'll be up to us," Ryan said. "We'll always do what we think is in the best interest of our football team." In two games, Tebow has appeared in only 12 offensive plays, including 11 behind center and one as an H-Back. Ryan insisted the situation isn't that hard to manage, claiming he had to answer "the same kind of questions" in 2009 and 2010 when Brad Smith ran their Wildcat. But Smith never was a threat to Sanchez's job. After a brilliant opener, Sanchez completed only 10 of 27 passes for 138 yards and a touchdown against a Pittsburgh defense that didn't have its biggest stars -- safety Troy Polamalu and linebacker James Harrison. But the Steelers throttled the Jets' passing game with aggressive press coverage on the wideouts, flummoxing Sanchez. Sanchez was "a little inconsistent," Ryan said, adding: "Obviously, I'd like to see us throw with a higher percentage level. But there's a lot to do with it, it's not just Sanchez." Rich Cimini, longtime Jets beat writer for the New York Daily News and a Syracuse graduate, covers Gang Green for ESPNNewYork.com. The Denver Broncos and the San Francisco 49s have the best chance to end up in the Super Bowl, Pro Football Hall of Famer Fran Tarkenton tells Newsmax.TV. Tarkenton, who spent a decade in the NFL playing quarterback for the Minnesota Vikings and the New York Giants, said Denver is the team to watch this season. âWell, right now, the best team in football, after one week, is the San Francisco 49ers,â he said. âGoing in, they had the deepest roster, good defense, good offense, a lot of skilled players, a lot of great defensive players and, right now, if I had to pick two teams for the Super Bowl, Iâd pick the Denver Broncos and the San Francisco 49ers. Â© 2012 Newsmax. All rights reserved. Your fantasy team plays in the NFL, and you should too! Sign up today to play the official free and customizable fantasy game of the National Football League! I know you heard it too yesterday. It was barely audible, but ever so faintly it came from the shadows. âPut in Tim Tebowâ they mumbled. Sure, their mouths were sealed after Mark Sanchezâ great Week 1 performance, but as the running game struggled against a stout Pittsburgh Steelers defense, it was time to test the waters. Then, late in the third quarter, it happened. The Florida product was finally in the game and he ran it up the gut for a 22 yard gain. But as soon as it started, it was over. That was his lone carry of the day, relegated to special teams for the remainder of the contest. Yet with just that one run, he only fell one yard short of the total posted by starting running back Shonn Greene. The difference being Greene needed eleven carries to get his yardage. Itâs about right now that you start yelling at your screen and call me a (insert insult). Just hear me out a second. No, I donât have a crystal ball, but Bilal Powell led all rushers with 33 yards on nine carries. Is it unreasonable to think that Tebow couldnât have performed better had he been given another eight carries? He would have only needed to average less than 1.5 yards per carry to match Powell. Given his production on just one attempt, why not roll the dice? Youâre screaming at me again! Yeah, I know, why would any sane person leave him in the game when Sanchez was doing a fairly decent job? Well, Rex Ryan did leave Sanchez in the game, and the result was two straight Sanchez incomplete passes. The ensuing drive started off with a 13 yard pass by Sanchez, followed by a five yard run and then two more incompletions. It shouldâve been right then that Rex made the decision to get Tebow back in the game. Santonio Holmes was getting frustrated, and the running game had gone stagnant. Why abandon the guy who produced your single biggest rushing gain of the day? It was deja-vu on their first drive of the fourth quarter, a three yard rush by Powell followed byâ¦wait for itâ¦two incompletions. Iâm no savant, but even I see a pattern emerging. Still, Rex stuck to his guns and only fueled the Tebow fire. One which had nearly been extinguished last week. Letâs face it, the Steelers defense is among the best units you can find, and itâs no surprise the going was tough for the Jets offense. Not only was there a negative pattern developing, Rex must have forgotten Tebow was the same player who pulled a playoff upset against this very defense giving you fits. All it would have taken was one more snap for the enigmatic quarterbackâ¦errrâ¦football player, and if he gets stuffed, thereâs no more controversy hype to deal with. Had he done well, at minimum the momentum could have shifted and resulted in a win. Instead, Sanchez is back on the thin ice of public perception and Tebow supporters are fueled by what could have been. He still should only be considered fantasy waiver wire fodder, but a few more Sanchez performances like this and youâll be wishing you stashed him on your bench. Remember when I said things could change in a New York minute last week?